Deep-South Resource is a mineral exploration company, largely held by Namibian shareholders and by Teck Resources Ltd, which holds about 35% of Deep-South share capital. Deep-South is actively involved in the acquisition, exploration and development of major mineral properties in Africa. Deep-South growth strategy is to focus on the exploration and development of quality assets, in significant mineralized trends, close to infrastructure, in stable countries. In Namibia, we are guided by integrity values that keep us focused on our purpose: to turn our exploration projects into lasting reality for our empowered Namibian communities. Deep-South is committed to advancing its projects while operating in an environmentally responsible manner. 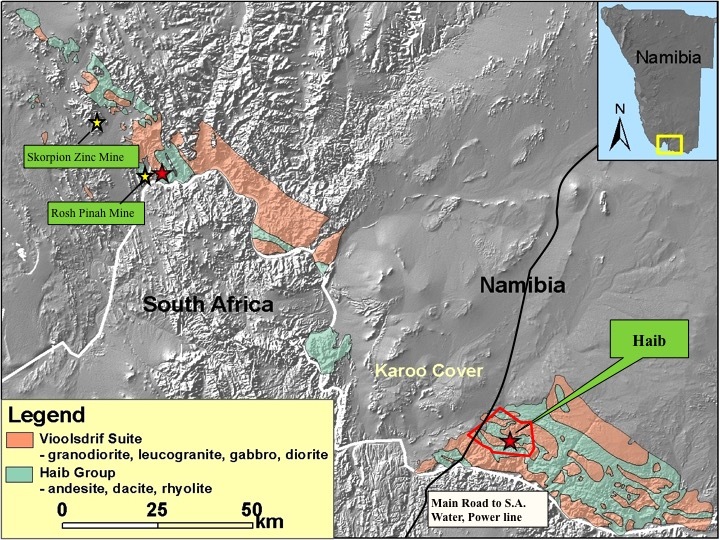 Deep-South holds 100% of the Haib Copper deposit in the south of Namibia. 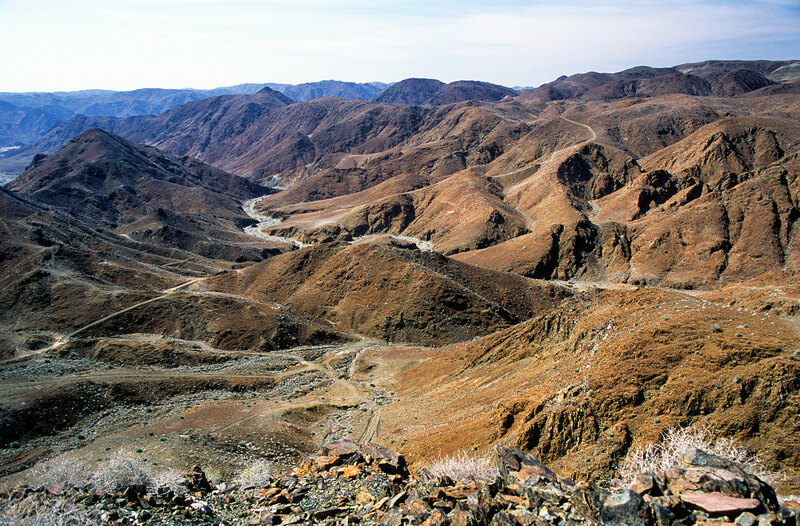 Haib is arguably the oldest porphyry deposit in the world and one of the largest in Africa. Deep-South is actively seeking other precious and base metals projects in Namibia and in other stable countries. 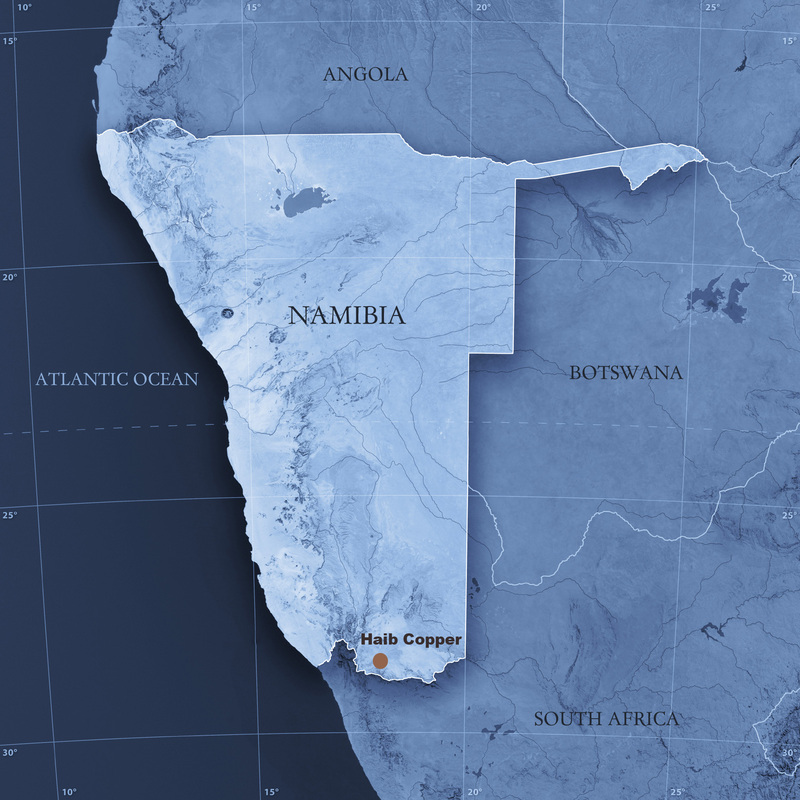 The Haib project is a large copper-molybdenum porphyry deposit located in the Karas region of southern Namibia, 8 km from the Orange River and the South African border. The deposit is a porphyry copper-molybdenum dating from the Archean age. The Haib Cu-Mo deposit is arguably the oldest porphyry deposit in the world, which hosts easily identifiable porphyry veins and alteration. The principal mineralised hosts at Haib are a quartz feldspar porphyry and a feldspar porphyry rock. The main ore mineral at Haib is chalcopyrite, but minor amounts of bornite, chalcocite and the various green copper oxides can also be found. The deposit hosts a 43-101 an indicated resource of 456.9 MT @ 0.31% Cu equal to 3.12 billion lbs of copper and an inferred resource of 342.4 MT @ 0.29% Cu equal to 2.19 billion lbs of copper at a cut off grade of 0.25% Cu. The resource estimation has been completed by P & E Walker consultancy and Obsidian Consulting Services, both of South Africa. The PEA focuses on the potential of heap leaching treatment. Several opportunities are identified in the PEA that could significantly enhance the economic return outlined in the report, including more assays of the molybdenum to be included in future resources estimation, sorting technologies enhancing the recovery processing performance and reduced power costs. The PEA recommends these opportunities be pursued and to proceed with a pre-feasibility study (“PFS”). For the recovery of copper from the Haib deposit, heap leaching was considered for all options. The primary reasons for the selection of heap leaching is the low grade nature of the deposit and the vast scale of the orebody. The low costs associated with heap leaching compared to a whole ore flotation circuit is believed to improve the viability of the project. Heap leaching is traditionally performed on oxide material, although there has been increasing development in the application to acid insoluble sulfides. Previous sighter amenability testwork, carried out by Mintek, METS and SGS South Africa, suggests the Haib material can extract high amounts of copper, up to 95.2% via a bacterial assisted leaching, although additional testwork is required to determine the optimal operating parameters. The system design proposed will use 3 crushers and an ore sorting system. The process is designed for a 90% availability, processing over 23,000 tonnes of ore per day (at the 8.5 Mtpa scenario) at a strip ratio of waste:ore of 2:1. 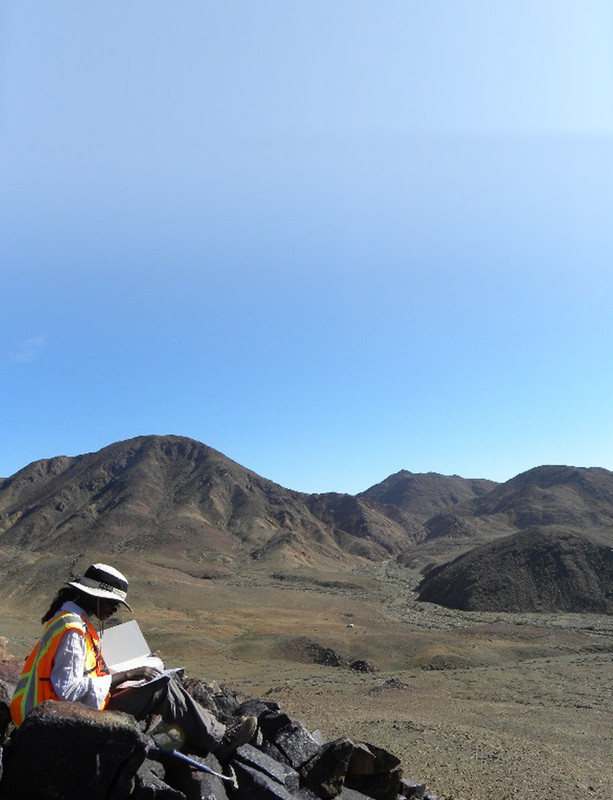 Mineralization is open near surface and at depth to at least 800 metres deep. 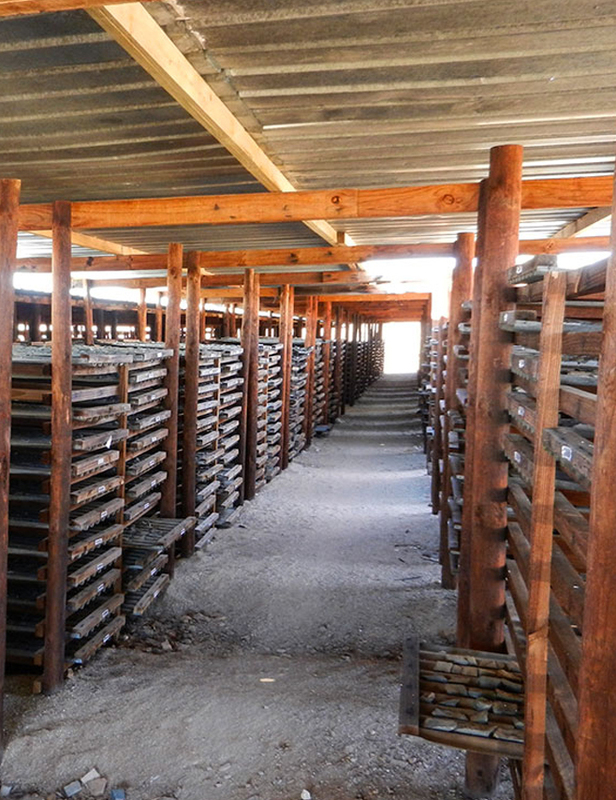 The Mineral Resource estimate is based on the results from approximately 66,500 metres of drilling in 196 holes. The most recent drilling data comes from Teck Resources drilling programs totalling 14,500 metres (2010 & 2014) and from re-assaying a part of the 164 historical drill cores which are well preserved on site. Indicated Resources are defined by a drill grid of 150 metres by 150 metres, while Inferred Resources are defined by a drill grid of 300 metres by 150 metres. The Haib Copper exploration licence provides significant potential for resource expansion, since there is known, but poorly drilled and assayed, mineralisation beyond the drill grid boundaries and below the main mineralised body (which covers some 2 square kilometres of surface area), where a few drillholes from 75m above mean sea level to -350m above mean sea level (i.e. a thickness of 425m) have shown that mineralisation is present. The deepest drillhole did not pass out of mineralised material. In addition, there are 5 satellite mineralised target areas surrounding the main Haib porphyry body which still require further evaluation. *Cautionary Note: The technical information provided in this fact sheet was reviewed and approved by Vivian Stuart-Williams, Msc, Pr.Sci.Nat, Vice-President Exploration of the Company and a Qualified Person (QP) for the purposes of Canadian National Instrument 43- 101. DISCLAIMER: This fact sheet contains forward-looking statements and forward-looking information (collectively, “forward-looking statements”) within the meaning of applicable Canadian and US securities legislation. All statements, other than statements of historical fact, included herein are forward-looking statements. Information concerning mineral resource estimates also may be deemed to be forward-looking statements. Although Deep-South Resources Inc. (DSM) believes that such statements are reasonable, it can give no assurance that such expectations will prove to be correct. DSM cautions investors that any forward- looking statements by DSM are not guarantees of future results or performance, and that actual results may differ materially from those in forward looking statements as a result of various factors. All of DSM’s Canadian public disclosure filings may be accessed via www.sedar.com and readers are urged to review these materials, including the technical reports filed with respect to DSM’s mineral pro. The results of the previous exploration programs have showed that the resources could be expanded by drilling under the current mineral resource and into 5 newly discovered satellites to the main body. Furthermore, the results from the recent Preliminary Economic Assessment (PEA) have been promising and METS recommends to Deep-South to conduct a Pre-Feasibility Study (PFS) as the next phase of the project. Deep-South plans to start the PFS during Q2 2018, which will include drilling in the main body to increase the level of the resource to measured or probable reserves, metalurgical and process technologies tests and enviromental studies. Environmental assessment to prepare an environmental impact study.